In case you missed it, we have begun rolling out our 2018 World Championship previews starting with the first two weight classes. We will be spacing these out just a little bit in advance of the tournament to better coincide with other supporting material that we may have to offer. 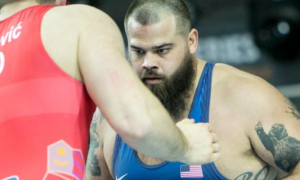 The fledgling American Wrestling League announced late last week that 2016 Olympian Robby Smith (130 kg, NYAC/Chicago RTC) had agreed to enter the organization’s draft scheduled for November 3rd. 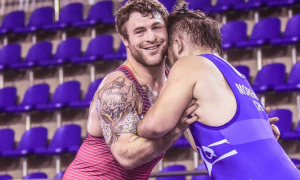 With the AWL — of course and obviously — being designed and targeted towards the free/folkstyle crowd, Smith’s inclusion came as a shock to many — except himself. If you give the 31-year-old a chance to explain his involvement, it certainly starts to make some sense. 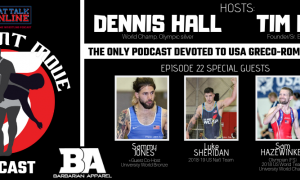 “This is a way to get the Greco brand out there, to put a spotlight on the Greco guys to show that we can actually wrestle,” Smith said on Monday. One of the larger concerns for Smith, who recently bolted for Chicago from the Olympic Training Center in Colorado Springs after 13 years, has been training and competing abroad. Not that his foray into the AWL is coming immediately; Smith is getting married on November 4th and will have his honeymoon soon after, rendering him unavailable for the inaugural show on November 30th. But the AWL offers a chance to stay active, especially during what are usually lulls in the season. So, what about the whole touching legs thing? 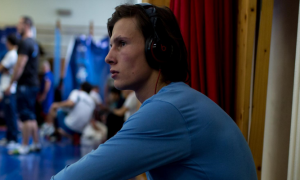 It’s a natural question given Smith’s commitment to Greco throughout his entire adulthood. 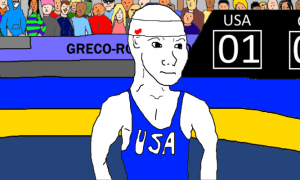 But while it is true that he has not competed in freestyle since high school, the big guy is convinced that his experience at the elite level of international Greco-Roman can serve to fill any perceived gaps against leg-grabbing counterparts. Sancho No Longer a Civilian? 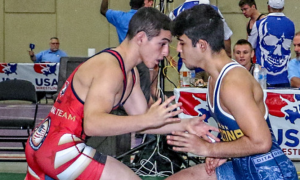 2017 U23 World Team member Alex Sancho (67 kg) has jumped over to the Army’s World Class Athletes Program. 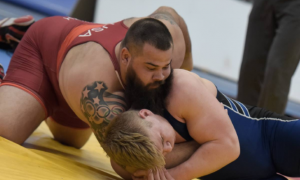 The 24-year-old first began his Greco-Roman career at Northern Michigan University but left Marquette in early 2018 for a new start at the OTC. Native Miamian Sancho is a three-time Senior Trials runner-up and has carved out a place as one of the country’s most formidable international competitors, highlighted by a gold at the Grand Prix Zagreb Open in March of last year along with a silver from the Tbilisi Grand Prix a few months later. 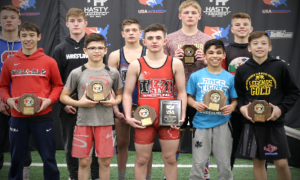 He has fallen to 2012 Olympian Ellis Coleman (Army/WCAP) in two Trial finals in a row and will now become one of Coleman’s workout partners in the loaded WCAP wrestling room. We will have more about Sancho’s move later in the week, along with direct insights from the man himself.